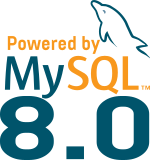 The major engine for MySQL is InnoDB, it complies with the ACID properties for a transactional database engine. Even if InnoDB is the most recommended engine for MySQL, it has also some caveats. The biggest criticism lies in the amount of disk space used. 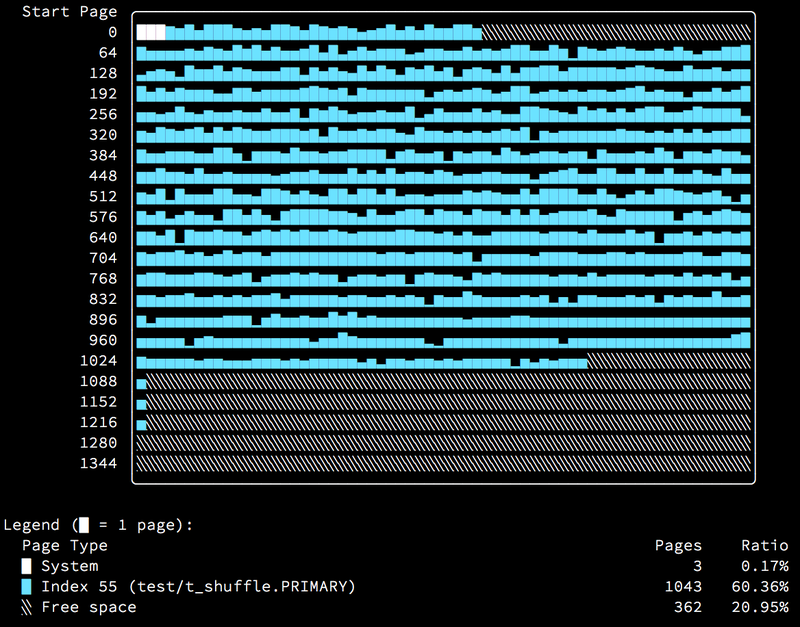 And even when we remove data, tablespaces don’t shrink. 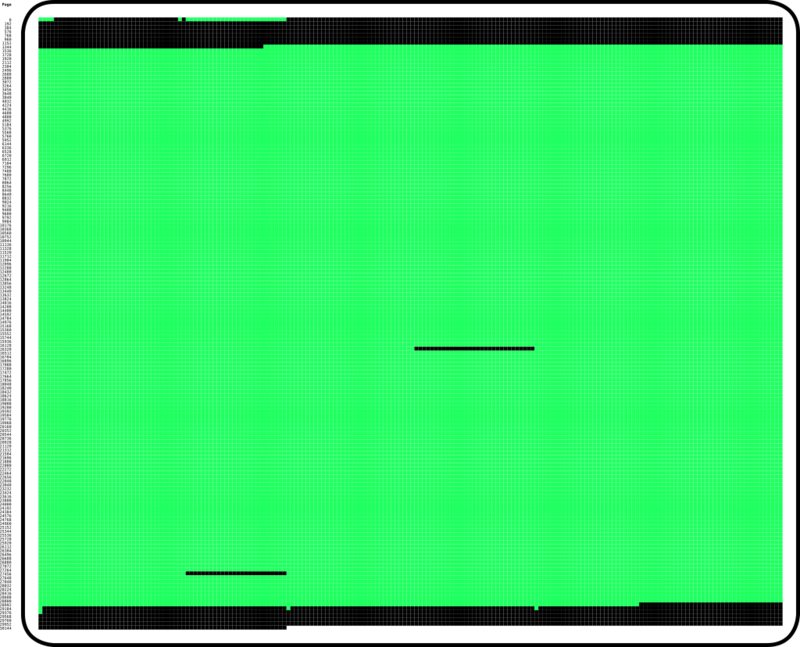 This post is about those tables that are fragmented. 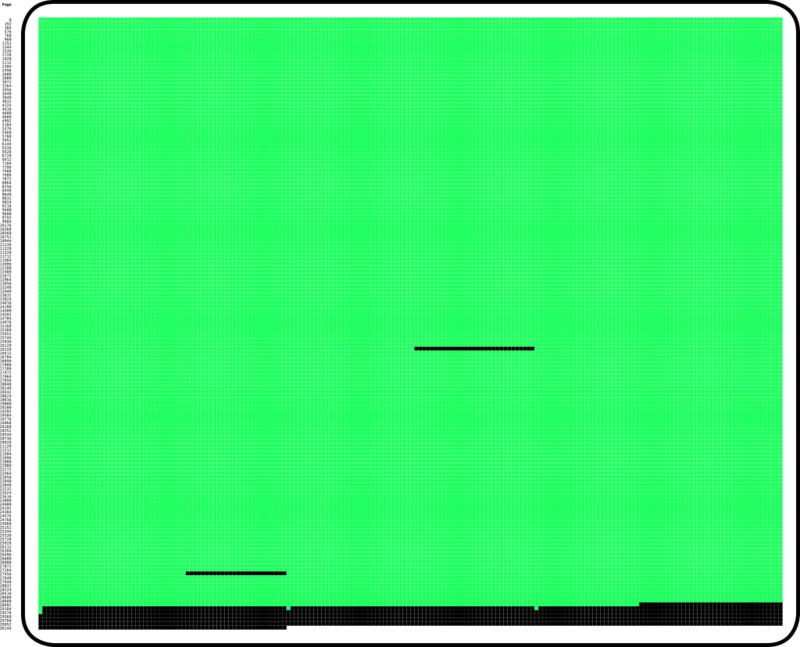 We can see that we have 5MB free and that the statistics shows an estimation of the size and the amount of rows. Our table’s size is indeed 472MB. a map of the table showing the used and the free pages. As you can see the 5MB of data free are mostly at the end (happening when allocating extra extends) but there are also some small gaps (I didn’t check yet why?). We can definitely see where the allocated but unused space is located. mmm… !? less rows but the data_free is still the same (25MB). What does the output tell ? We don’t see any difference !? No more rows and a lot of free space. So we don’t have any records and we use a “lot” of diskpace, which is completely wasted. Can we do something ? 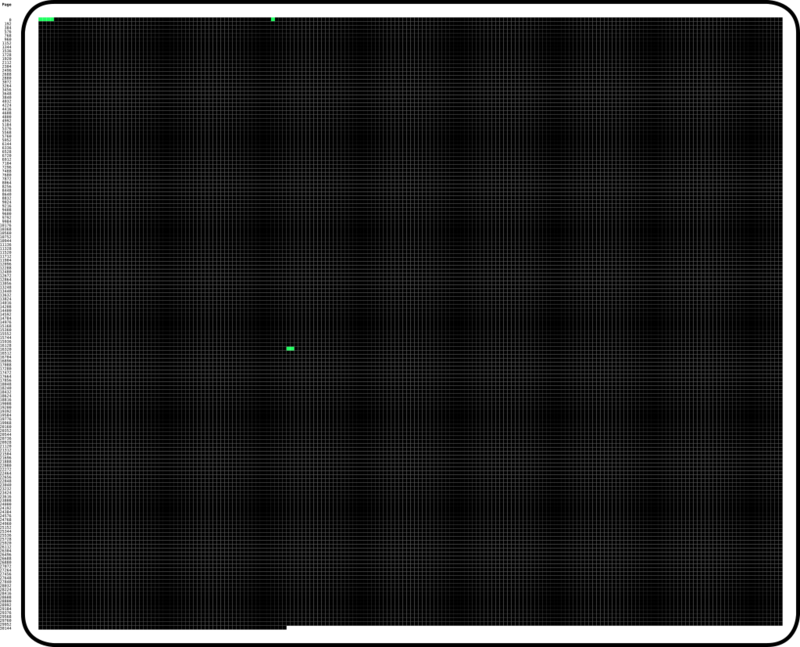 How did you make this bitmap (green on black) with the innodb_space command? 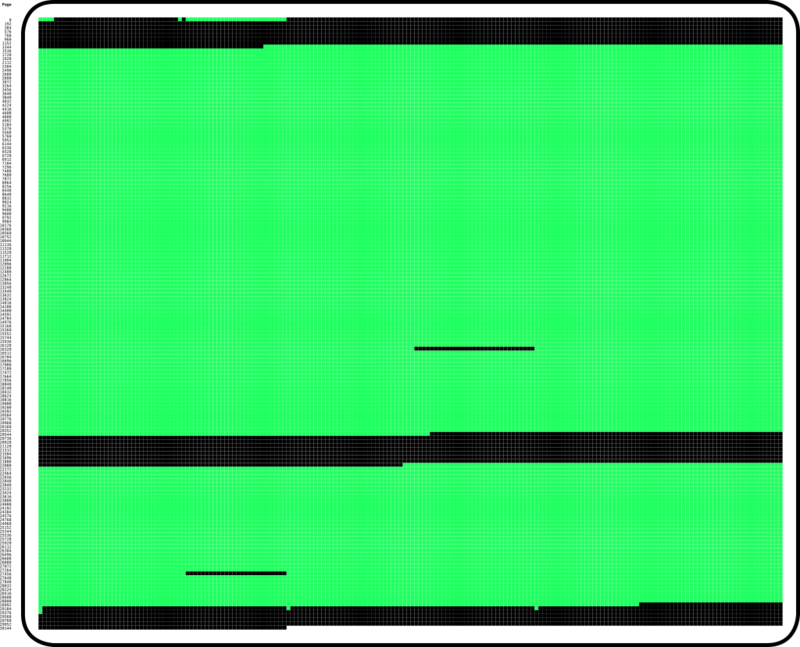 the tool you make this bitmap (green on black) had open code ? could id download it frim github.com?